According to the Centers for Disease Control, more than 1.3 million people visit emergency rooms across the country for brain-related injuries. About 275,000 of those patients are hospitalized, and 52,000 of these incidents end in death. Traumatic brain injuries are a major public health concern in this country and across Southern California. The severity of these injuries can necessitate a lifetime of physical and mental pain, along with expensive medical care and treatment. $14.4 million verdict in a case where an improperly serviced asphalt truck caused a multi-car accident, leading to the death of two drivers and the permanent brain damage of another. $4.3 million settlement for a pedestrian who sustained brain damage after she was hit by a car. $4.25 million settlement for a man struck by a Los Angeles Metropolitan Transportation Authority train. Aside from his brain injury, the victim also lost his left foot. Personality or behavior changes. Even mild cases of brain injury can significantly affect a victim’s personality and behavior. Depending on what part of the brain is injured, the victim may demonstrate severe agitation, combativeness, poor concentration and even loss of impulse control. Memory loss. Memory loss is a common symptom of mild and severe brain injuries. The injury may affect parts of the brain where short and/or long term memories are stored and recalled. In the most severe cases patients may face permanent memory loss, which can be devastating for the individual and family members. Severe headaches. Headaches are common among mild and severe cases of brain trauma. In mild cases, the headaches may come and go for a period of days or weeks. In more severe cases, the patient may have chronic headaches that never fully subside. These painful circumstances may require constant medication and treatment. Impaired vision. After a brain injury, an individual may experience blurred or double vision, extreme light sensitivity or decreased peripheral vision. In some extreme cases, partial blindness may result. Convulsions or seizures. Though it only occurs in a small percentage of brain injury cases, seizures are a possible consequence of brain trauma. According to the National Institutes of Health, scarred tissue within the brain can cause a sudden abnormal electrical disturbance. These patients may experience convulsions, unresponsiveness, sudden dizziness or a sudden inability to understand others around them. Coma. The most severe cases of brain injury can leave victims comatose for an indefinite period of time. Our compassionate Los Angeles brain injury attorneys understand the mental and financial hardship that this type of injury can have on a victim, as well as the victim’s family. That’s why we diligently work to establish a case for compensation from all responsible parties. Our lawyers utilize an array of expert witnesses in order to prove a brain injury and the effect it has on the injured person’s life and ability to work. Experts such as neurologists, neuropsychologists, psychologists and others administer important tests to determine the extent of the brain injury and its effects. Our law firm has the resources to fully utilize all of the experts needed to prove a brain injury case. If a person suffered a blow to the head and is exhibiting signs of a concussion, severe headaches, blurred vision, memory loss or other similar symptom, they very well may have suffered a TBI or head injury in addition to all of their other obvious physical injuries. 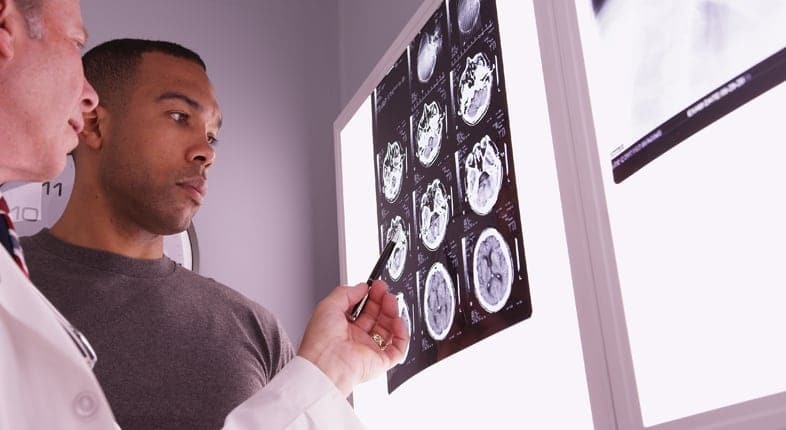 It is imperative that you consult a lawyer so the proper testing can be undertaken quickly to determine the extent and nature of the brain injury. At Taylor & Ring, we commit ourselves to providing brain injury victims with high quality legal representation. We always have your best interests in mind as we put forth an aggressive fight for the compensation you deserve. Please call us at 310-776-6390 or complete our contact form to obtain a free consultation on your brain injury case.